A versatile cover band performing top 40 dance hits and more for your wedding, paty or musical event. With versatility and showmanship, Rendezvous’ journeyman musicians will add a touch of class to your next event. Their musical range and abundant talent provide so many options to entertain any audience! 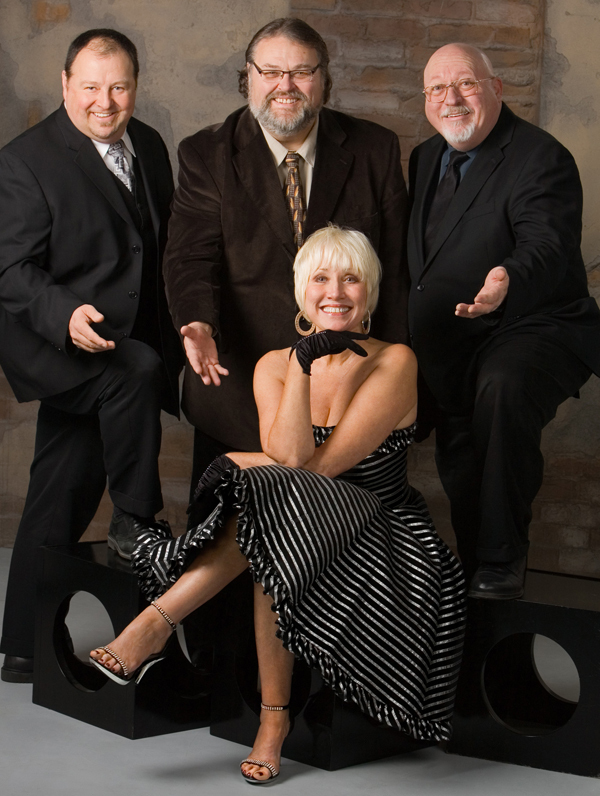 Rendezvous was the featured band on New Year’s Eve at Spirit Mountain Casino in 2011 and on the 2012 Portland Spirit New Year’s Eve Cruise. Our audiences always have great time! Swing Standards like In The Mood, Misty, Smoke Gets In Your Eyes, Jump Jive and Wail. Classic Rock Hits of the 70s through the 90s—from the Beatles, Rolling Stones, Beach Boys, Jerry Lee Lewis to Journey, Blondie, Bonnie Raitt. R&B, Soul and Disco favorites including The Supremes, Donna Summer, Temptations, the Pointer Sisters, and KC and the Sunshine band. Country Music favorites from Patsy Cline and Willie Nelson, right up to current country rock hits.